Beautiful, unique and quite challenging! A Creative Crafthouse original design. 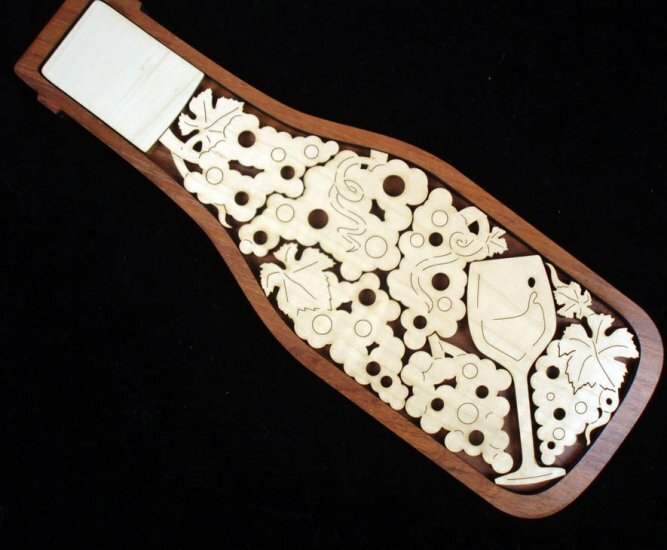 There are 6 grape clusters, a wine glass and a cork in the bottle shaped frame. You goal is to fit everything in the bottle. Wood used here is 1/4" thick maple, precision cut in their Florida shop. This will challenge your favorite wine expert and will likely make them quite thirsty before he finishes...! Dimensions: 12.5" x 4.5" x .5"